At my house we make our own pickles. 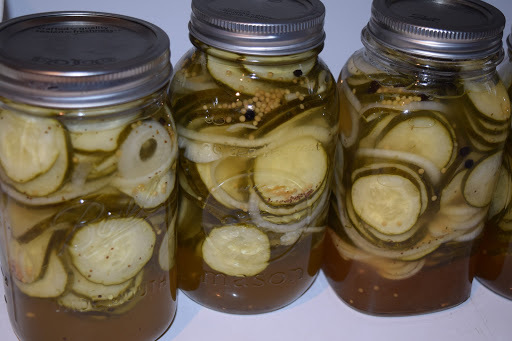 Jeff (my hubby) insists on having my Aunt Cara’s bread and butter pickles on our pantry shelves at all times. So when we run out I have to make more. My Aunt Cara was one of the best cooks I have ever known. She worked as a cafeteria lady for many many years in Atmore Alabama. That was back when school lunches were made from scratch and consisted of real food. On summer trips during my childhood I remember huge meals served outside in the garden that consisted of biscuits, homemade fig preserves, boiled peanuts, fresh lima beans, fresh green beans, cornbread and chicken or ham. I’m sure there were greens but I didn’t like them back then so I would snub my nose at them. On other visits I remember sitting on the back steps of my Aunt Neoma’s boarding house shelling peas, or snapping beans for the meal she would be preparing that evening for her boarders. This was the same boarding house where my mother married my father in 1958. It was a wonderful time, those summer weeks spent in Atmore with my mothers family. 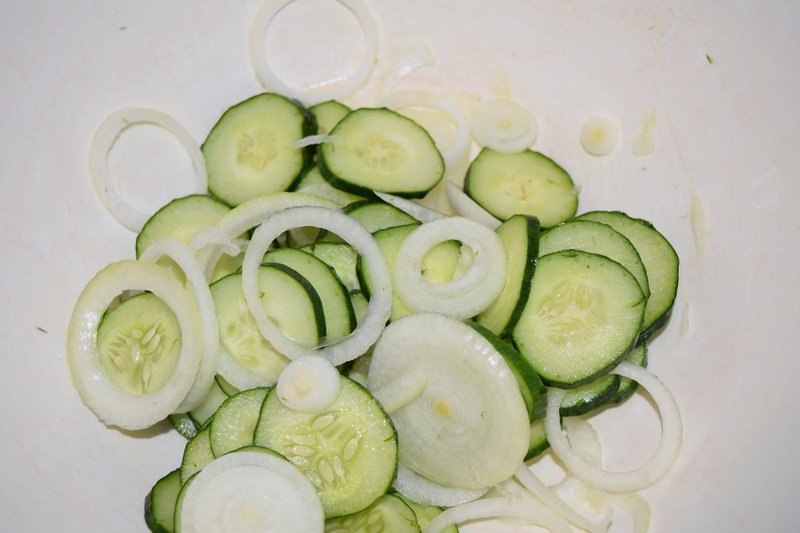 Having these pickles on hand is a great way for me to keep those memories alive. Too bad I don’t have her fig preserve recipe, my husband had the pleasure of tasting them many years a go and he wishes I could recreate them. They were the best he had ever had.